Each house is represented by an animal, a mascot. Gryffindor the house known for its bravery is represented by the fierce lion. Ravenclaw, the house of intellectuals has an eagle as their mascot. Eagles are rather smart animals; they avoid danger when possible and are respected in the animal kingdom for their skills. Serpents are the mascot for the Slytherin house. Search a dictionary and under serpent you will find that the noun works to describe a treacherous or sly person. Snakes have been worshiped in the past and represent power. Hufflepuff house is represented by a badger, just what does this mean for us? 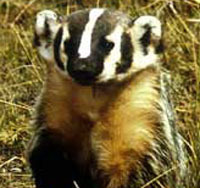 The badger is a medium sized animal, with short legs and is usually heavy set. Their bodies appear flat and they have short tails. Their colors vary from gray to brown and they have a white stripe from the tip of their nose to their shoulders, or if they are a southern badger the stripe travels the entire length of their body. 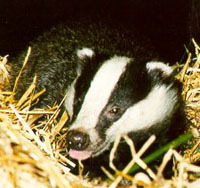 In all, badgers are cute creatures that appear sweet and harmless. The badger is known for having a gentle nature and has come to be the symbol of love and loyalty; both are traits of Hufflepuff house. The other houses look down on us; they make their snide remarks and all but trip us as we walk through life. When I was sorted into Hufflepuff, a Slytherin told me I should be thrown into “Hufflelump” where all of us who have no outstanding signs of bravery, intelligence, or cunning are lumped together. We do have a gentle nature like the badger that represents us and others see that as a weakness. We are calm, loyal and hardworking students that are pushed into the background. We had our moment in the spotlight thanks to Cedric but again were forgotten after his murder. Badgers may be gentle, but they are fierce animals when forced to defend themselves. The badger’s fur is thick, its hide is tough and it is not easy prey for predators. We have thick skins that protect us from those that are seen in society as the more dominate personalities. We are more than able of coming out from a confrontation with a lion unscathed. Honey badgers are almost completely immune to snake venom and in fact have been known to have a few serpents as a snack. I see this as meaning that we are not bothered by hostile Slytherins, their words and taunts do little to harm us. They may try but they will not subdue our house. We are intense fighters when the time comes. Do not let our shy and calm temperament fool you, back one of us into a corner and see how sharp our claws are. Gryffindor’s may be most known for bravery, but in the Guinness Book of World Records the honey badger is said to be the most fearless animal in the world. They will go up against animals much larger than them to protect their families or territory. We are Hufflepuffs! We are badgers! Hear us… well make whatever noise badgers make.